Being a home owner is everyoneâ€™s dream. With the increasing demand for a room of oneâ€™s own, the popularity of home loans has gone up. Banks, financial institutes and NBFCs offer a variety of home loans. With low rates of interest, affordable EMIs, manageable tenure and tax benefits, home loans are high in demand. Home loans are not limited to buying a house or a property; it can be used for home improvement, buying land to build a house of their own design, renovating, expanding, etc. Land purchase loans are to be taken when you are buying a plot of land, on which you wish to construct a house. Banks offer land purchase loans which are up to 85% of the cost of the plot, irrespective of whether it is for residential or investment purpose. Based on your age, the maximum tenure for this type of loan is 15 years. Anyone, who is above 21 years of age and has a regular income, is eligible to apply for this loan. Usually, the amount of loan sanctioned for land purchase tends to be lesser than the loan for purchasing a house. Home purchase loan is the most common and the most popular type of loan sanctioned by, almost, all the lending institutes. It is used to purchase a new residential property or an old one from previous owners. Lending institutes grant up to 85% of the market value of the house. The rate of interest on this loan varies from fixed, floating and hybrid. -If the lot was purchased in the last 12 months, the cost will be included in the estimate, increasing the loan amount. -The sanction amount depends on the estimate of the construction cost. -The loan amount can be disbursed in one go or in instalments depending on the progress of construction. Home expansion or extension loan is perfect when you wish to expand any house owned by you. It includes changes in structure, adding extra space, dividing a big room into two smaller ones, adding a low attic, enclosing balcony, making a bigger bathroom and many such alterations that utilise the existing house area. This loan can also be sanctioned as a part of home improvement loan. It depends on how the lending institute categorises it. The home expansion loan amount constitutes 70% to 85% of the total cost of expansion. 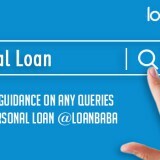 The parameters considered while granting this loan are same as those for other types of loans â€“ age, credit history, annual income, tenure, etc. The rate of interest for this type of loan can be floating or fixed, as agreed with the institute. Home improvement loans are quite different from home expansion loans. Home improvement loans are sanctioned for internal and external painting, repair work, electrical repairs, plumbing, water-proofing, adding underground and overhead tank, flooring, tilling, etc. With a maximum tenure of 15 years and rates of interest ranging from 9% to 11%, these loans cover up to 80% the cost of renovation and repair work; perfect when you want to tweak the house for upcoming festivals, weddings and special events. If you have already purchased a house by taking a home loan, but have changed your mind and wish to buy another house, you can choose home conversion loan. It simply means that you can transfer the current home loan over to the new home, without the need for repaying the loan on the previous home. While extremely beneficial in a rare case, this loan is very expensive and can cost you a lot. This is a specialised home loan variant, developed to help Non-Residential Indians to buy residential property in India. 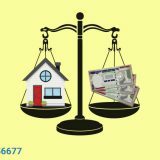 Even though the formalities and process for NRI home loan application is similar to regular home loan application, the paperwork involved is quite extensive. When you wish to transfer your home loan from one bank to another, you can choose for the balance transfer option. The balance transfer can be an option for various personal, professional and financial reasons. For instance, when you want a lower rate of interest than what you are getting at your current or you are displeased with the customer service you are receiving at your current bank. A stamp duty loan is rarely opted for, with majority of customers remaining unaware about it. It is sanctioned solely for the purpose of paying off the stamp duty charges on the purchase of a property. The loan amount is much lower for this type of loan as the stamp duty is, usually, in the rage of 4-5% of the cost of the property. Experts advice to pay the stamp duty and registration fee upfront instead of taking a loan to pay them. A bridge loan is a short term loan granted when you wish to buy a new house, while already owning a residential property. Typically, it is used to fund the purchase of your new home till you find a buyer for the old home. The tenure for this type of loan is less than two years and requires you to mortgage the new home. Refinance loan is similar to the practice of debt consolidation, but specifically, for home loans. Herein, you take this loan to repay your friends, relatives and private lenders, from whom you have borrowed for the purpose of buying your current home. 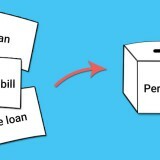 Layman Series: Who is a Guarantor and What are Guarantor Loans? Nice information on different types of home loans.